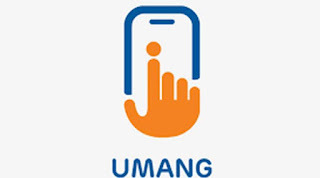 Pensioners would now be able to view their pension passbook on mobile phones with the help of Umang app. EPFO is a retirement fund body and is already providing various e-services for its stakeholders through Umang. EPFO is a statutory body of Union Government that comes under the aegis of Ministry of Labour and Employment. The Umang (Unified Mobile Application for New-age Governance) app was launched by the government last year. It is a common platform for various government services at one place. It was developed by Ministry of Electronics and Information Technology (MeitY) and National e-Governance Division (NeGD). Inclusion of View Pension Passbook Service is a part of the EPFO’s plan to go paperless by August 2018 and provide all its services online. EPFO has recently made available ‘View pension Passbook Service’ through which app? What is the full form of UMANG app? EPFO comes under which Ministry of the Government of India? Who is the current Chairman of EPFO? Who is the current Minister of State for Labour and Employment (Independent Charge)?